More studying! … Skirt Fitting Shell … – Nice dress! Thanks, I made it!! It’s not really my first garment of 2015, I certainly wouldn’t wear it outside the house, but it is a really important one. 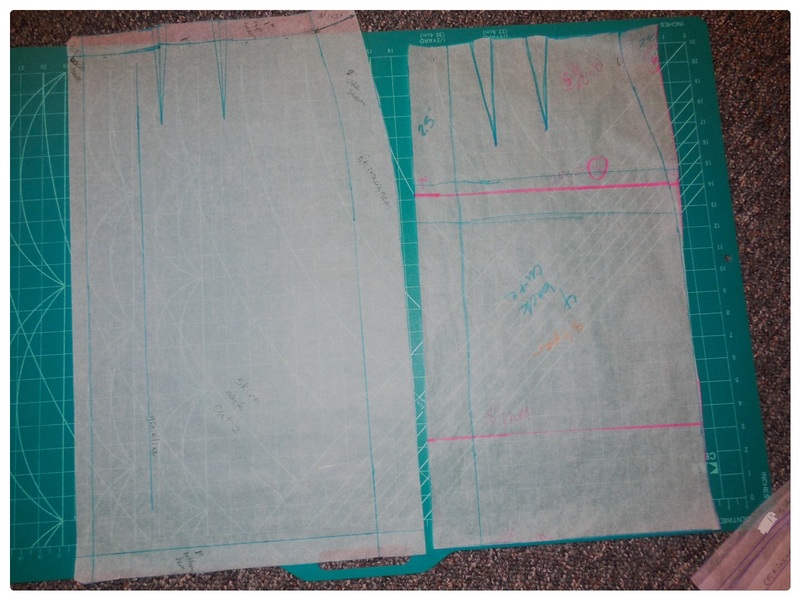 A while ago I measured and drafted my Bodice Fitting Shell from Vogue pattern V1004. During my time off work over Christmas, I continued with my studies using my Craftsy courses “Fast-Track Fitting” and “Fast-Track Fitting: In The Details” and my new book “Create the Perfect Fit” all by Joi Mahon. My finished Skirt Fitting Shell! (Again, I sewed it together with the seam allowances out, so that I could see the changes I made. Not something that is required.) Here’s the front … I might make the front darts a little bit longer to take in the extra fabric, to make smoother front. What do you think? and the back … When I do my Pants Fitting Shell, I am going to put in a zipper. It was very difficult to pin up the opening in the back of this Skirt and all those pins just puckered the back! I have never been one to wear pencil skirts. I just don’t think they do anything for me BUT… I have never had a pencil skirt fit as well as this ugly, wrinkled thing! I love it! 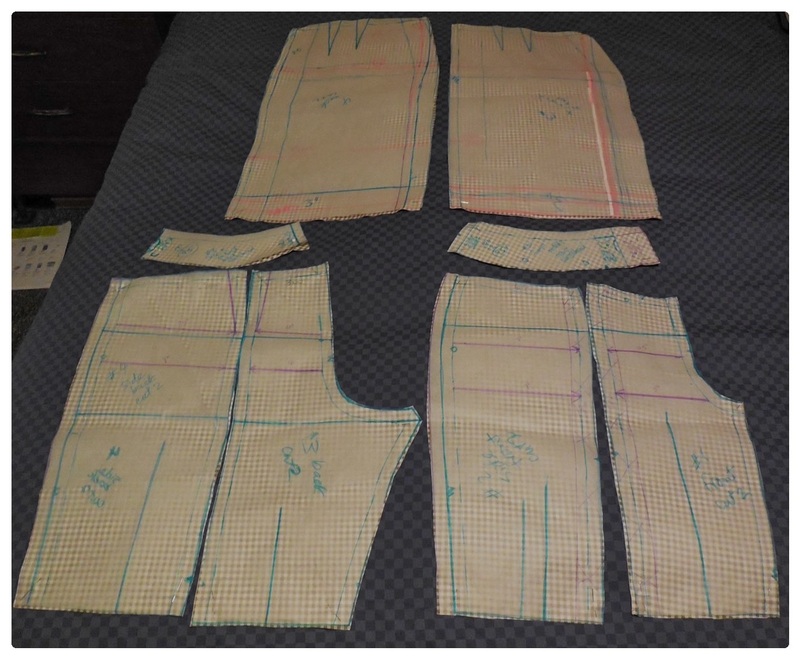 I plan on using it as a guide for every skirt or dress I make for myself in the future, as I used my Bodice Fitting Shell to check the size of my Sewaholic Yaletown! Are you tired of poor fitting patterns like me? Obviously we are all unique and measuring and altering sure does wonders! This is cool, it’s great to learn about how to get a better fit! Almost finished that one! Maybe a couple of weeks then there will be a post. Good work and worth the effort. 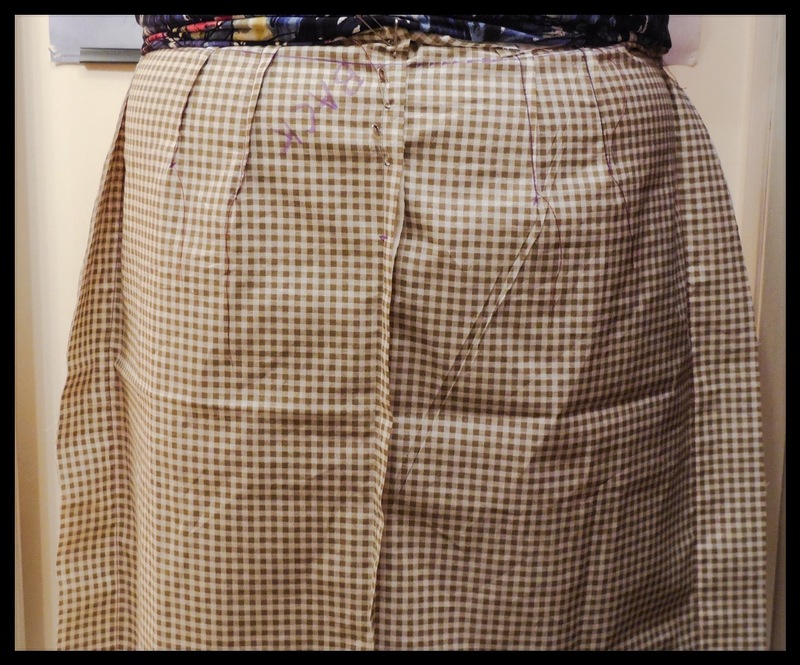 I have never had skirts fit me so well as they have since I drafted my own skirt sloper. 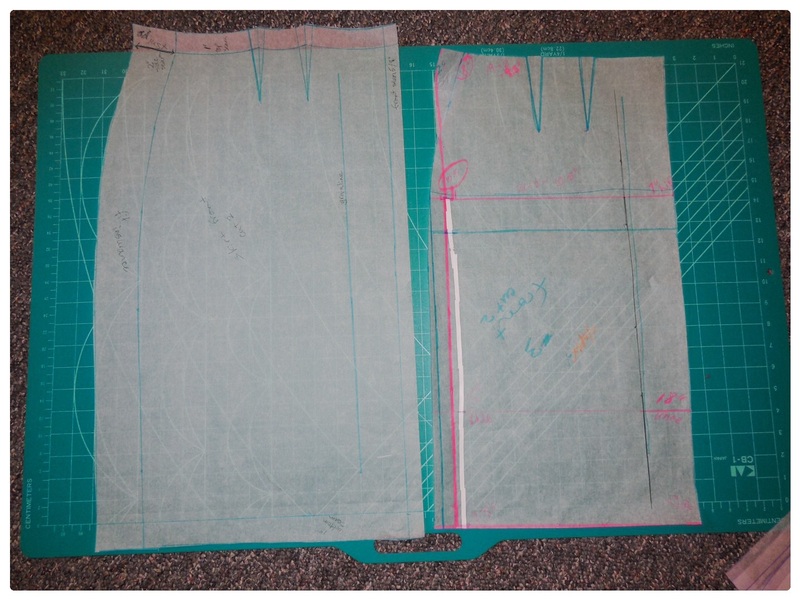 I need to draft a pants sloper too one day. Yes, it’s nice to have a “template”! I’m really enjoying the process of your ‘perfect fit’. You seem to be racing ahead and learning so much. I just can’t wait to get started myself! I’m looking forward to what you come up with when its your turn! Pencil skirts are not me either, I don’t think I’m tall enough. 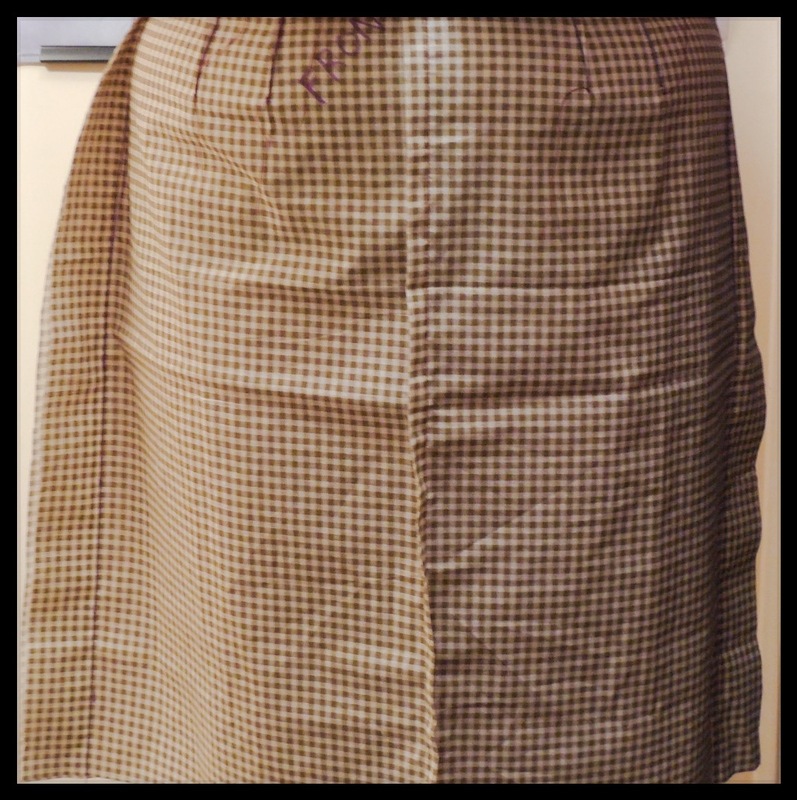 But having a great fitting shell is a good starting point for other skirt variations. Absolutely! This now can be altered to make any style, OR if I have a pattern, I can check the fit of it with this. The fit looks good I know what you mean about closing the back with pins, it is so hard to do by yourself. I also have to invest in a good size hand held mirror so when I look at the fit I am not twisting to look at the back. Well … I have a hand held mirror and a big bathroom mirror. That helped with the bodice piece, for fitting and photos. (Yes I took photos in the bathroom 😟). It was okay with the skirt top too, but not the hem area. My Darling Daughter did the photos of the skirt. I really have to figure how and where to set up my tripod. 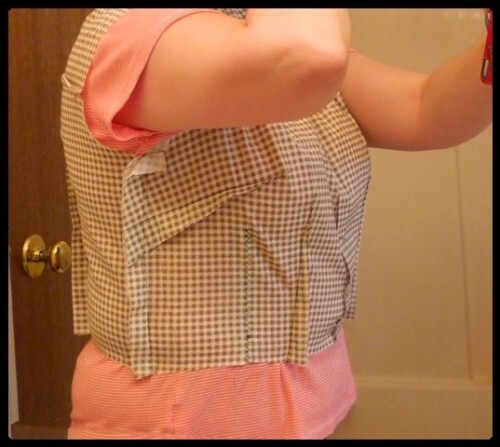 Linda, you know better than anyone that I don’t sew, but I love reading about your sewing adventures, partly because sewing involves amazing things like the “bodice fitting shell”. I don’t think I’ve heard the word “bodice” in a sentence for a long long time. Fit is what I find most disheartening about sewing! I’ll tell you, these would have been great concepts way back 20 years ago when I was sewing everything under the sun. Yes, it has worked out well so far. We shall see how the pants go!